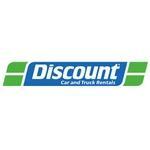 Discount Car & Truck Rentals provides car and truck rental services throughout Canada. The car rental service has an office in Brampton. Discount Car & Truck Rentals offers a range of vehicles - from economy cars to full-size and luxury models, free customer pick-up and drop-off, and special discount packages for customers who reserve their vehicle online. Products Carried: Discount Car & Truck Rentals is a premier car and truck rental company with rental locations across Canada, including Brampton. The international car rental service offers a range of rental cars and trucks, from economy cars to full-size and luxury models.